Here are 11 science-backed reasons why a jolt of java is good for mind, body and soul. Have fun reading while I quickly pop a pod and see you on the other side. And I don’t just mean this in terms of the caffeine high! Coffee literally makes you feel happier by stimulating the production of serotonin and dopamine, which make you brighter and perkier. Well… d-uh… right? 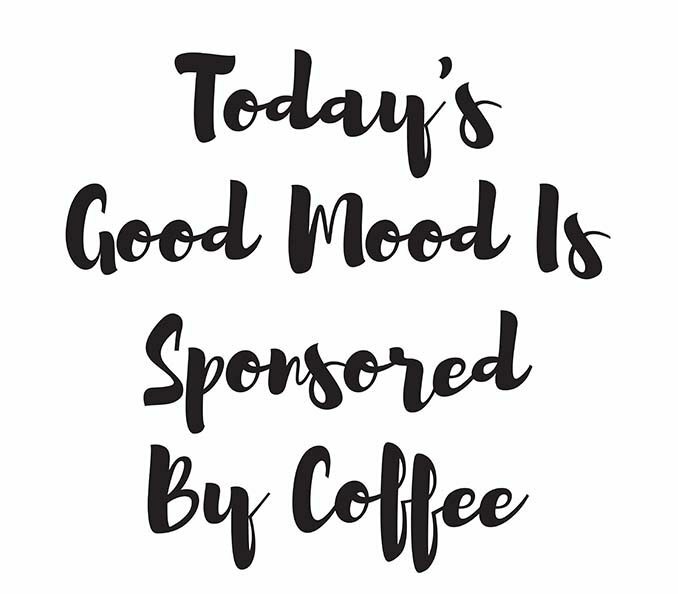 Coffee helps us perk up and face the mornings. And the mid-afternoon slump. And the late-at-night deadline. And everything in between. But it doesn’t stop there. 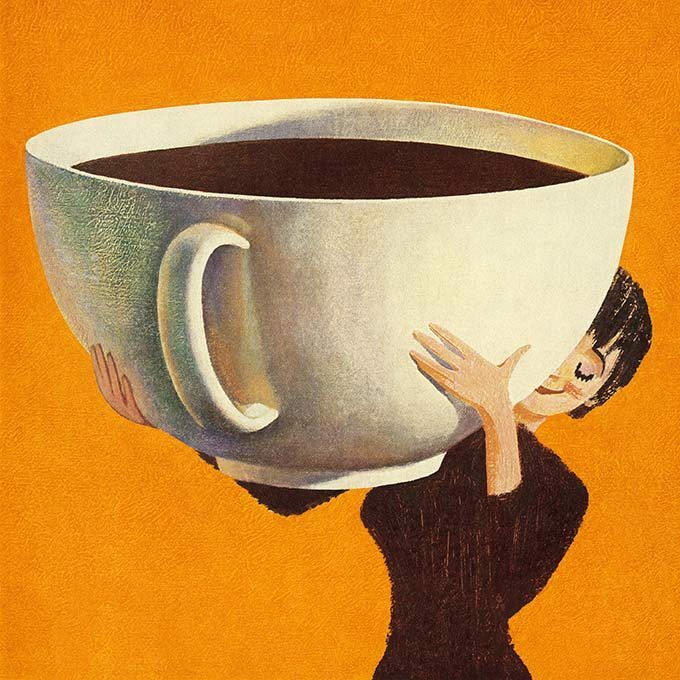 Coffee actually sharpens the brain, making it work more efficiently. Result? Faster reflexes, enhanced attention span, increased focus, better memory and improved logical reasoning. But it doesn’t just end there. Research shows that drinking 3-5 cups of coffee daily also cuts the risk for Alzheimer’s and dementia by 65%. Sore muscles? A cuppa can reduce the pain by up to 48%, say Norwegian researchers and the Journal of Pain. I need my gym to install a coffee bar. Pronto. And I don’t mean the kind of inflammation that occurs when you hurt yourself or are stung by a bee. We are talking about chronic internal inflammation that occurs under the skin or around our vital organs – such as the heart or liver – putting extra pressure on them (think of it as an extra layer of fat or mucus that’s squeezing the organs), while simultaneously blocking optimal supply of nutrients. This internal inflammation is the leading cause of chronic issues such as diabetes, heart trouble, cystic acne, eczema, wrinkles, fine lines, dullness and sagging. Researchers at Stanford University School of Medicine have discovered that caffeine can block the pathways of inflammatory molecules, preventing them from lodging in our body. This means more flexible arteries, lower blood pressure and a host of skin benefits to boot. Strange as it may seem, Americans get most of their antioxidants from coffee. 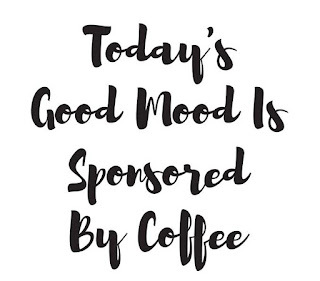 Yes, coffee. That’s because a serving of coffee contains more antioxidants than a serving of things like grape juice, oranges and blueberries. Dutch and Japanese studies (the latter had 76,000 participants!) show that moderate coffee drinkers (1-2 cups per day) have up to 38% chance of dying from a cardiovascular disease. After 28 studies over more than one million participants, researchers at Harvard have found that a single cup of coffee can cut the risk of Type II diabetes by 8% (just remember to hold the sugar). Take this up to 6 cups daily and you reduce the risk by 33%. The reason? Coffee contains chlorogenic acid, a polyphenol that reduces the concentration of blood sugar and slows down its absorption. It also contains magnesium and potassium, which increase insulin sensitivity and reduces sweet cravings. Drinking one cup of coffee a day can cut your risk for developing liver cirrhosis by 20% by lowering enzyme levels. Take it up to four cups a day and it can also halt the progression of Non-Alcoholic Fatty Liver Disease (NAFLD). According to studies at Harvard, coffee is a diuretic that helps flush out excess calcium and sodium from the body, thereby preventing the formation of kidney stones. Trust me, I’ve had them and they literally do hurt more than childbirth. If I had to choose my favourite finding about coffee’s health benefits, this is The One! As someone who has a serious dental phobia (think serious hyperventilation, high blood pressure and shortness of breath every time I have to see the dentist), just knowing that black coffee helps the bacteria that cause tooth decay has me literally brewing up another cup right now. Hold the milk and sugar, though!